This past Thursday, FIFA revealed the rankings for the fastest football players in the World. The biggest surprise was that neither Cristiano Ronaldo or Lionel Messi made it to the podium. The Real Madrid forward was ranked 4th, while the Barcelona super star didn't go beyond the 6th place. 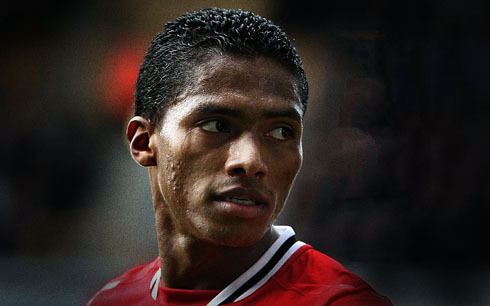 Leading the list as the fastest footballer in the World is Manchester United's winger, Antonio Valencia. 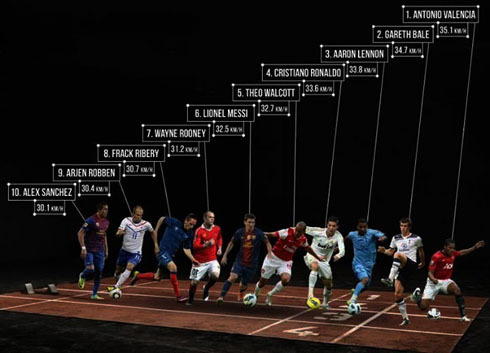 A recent study published by FIFA has given us the names for the top 10 fastest football players in the World in 2014. The ranking is led by Manchester United's Antonio Valencia, who has reportedly reached a top speed of 35.1 km/h in one of his past games in England. Right behind him is Real Madrid's new signing Gareth Bale with 34.7 km/h and in 3rd place comes Tottenham's Aaron Lenon, with a record of 33.8 km/h. This study, which has been based on computerized data gathered by FIFA over the last months, listed Cristiano Ronaldo as the 4th fastest athlete in the game and reports that the Portuguese forward maximum speed in his recent games has been exactly 33.6 km/h. 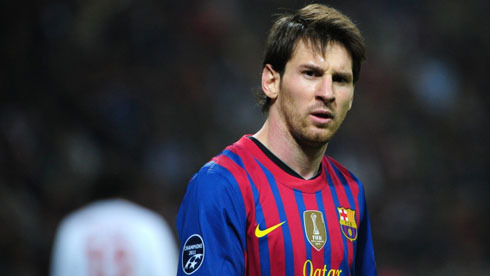 A bit slower is Barcelona's Lionel Messi, who was ranked 6th and capable of reaching a top speed of 32.5 km/h. The full list can be checked below. The following ranking list includes players from 3 of the strongest European leagues, with clear a predominance of athletes from the English Premier League (4) and La Liga (4). 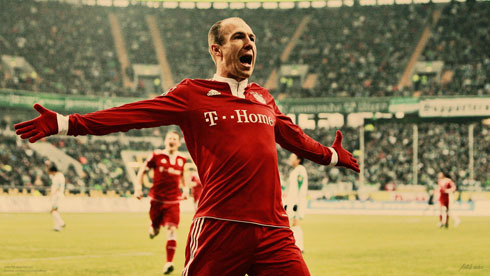 The Bundesliga contributes to it with 2 players, both coming from Bayern Munich (Arjen Robben and Franck Ribery). The accuracy of these numbers can probably be disputed, since all FIFA has stated is that the data was pulled off from their own computers and tracking systems. In order to have a good term of comparison, the fastest speed achieved by a human was 44.72 km/h, a record set by the Jamaican and 100 and 200 meters athlete, Usain Bolt, quite simply the fastest sprinter this World has ever seen. Real Madrid is the only club in the World lucky to have two players in the top 5 and even though it might seem strange to some of us, Gareth Bale is allegedly faster than Cristiano Ronaldo. Barcelona in the other hand, has in Messi their fastest player in the squad, but the Argentina international couldn't help but to fall behind 5 other athletes in this list. At their top speed, Messi is roughly 1 km/h slower than Cristiano Ronaldo (33.6 km/h vs 32.5 km/h). 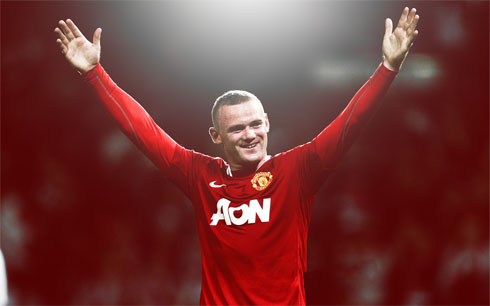 If there's one player on the list who never struck us as a truly fast kind-of-a-player, it has to be Manchester United and England's bad boy Wayne Rooney. The former Everton striker appears in the 7th spot, ahead of really fast wingers such as Bayern Munich's two main stars Franck Ribery and Arjen Robben, but also Barça's Alexis Sanchez. 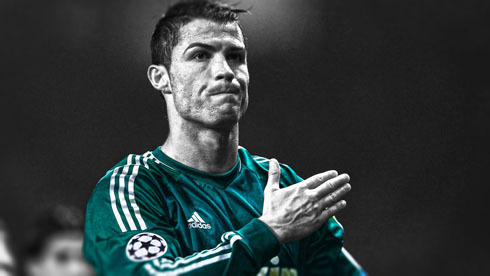 Cristiano Ronaldo next game for Real Madrid will be against Real Sociedad for La Liga, on April 5, 2014. You can watch Juventus live stream, Real Sociedad vs Real Madrid, Barcelona vs Betis, Newcastle vs Manchester United, and Chelsea vs Stoke, all matches provided from our live streams pages.